You may prefer to read our article about turntable set-up before reading this. It can be found here. It explains about alignment, tracking weight and checking your stylus. The remainder of this article is assuming that all of those things are correct. If you have doubts please check it out or let us check it out for you. Assuming your deck is working properly and your stylus isn’t too worn you will be enjoying your records. Here are a few tips to help you get the most out of your vinyl AND to make sure it stays in the best condition. 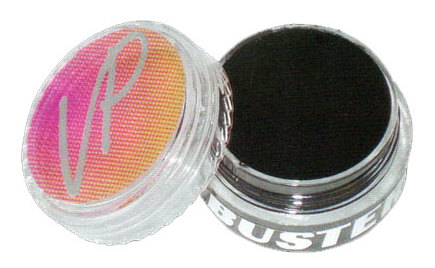 Click here for a fascinating article about stylus wear. Keeping your stylus clean makes a great deal of sense. The first is sound quality and the second is financial; a clean stylus will last longer and also do less damage to your vinyl. This fluid and little brush is a good place to start. 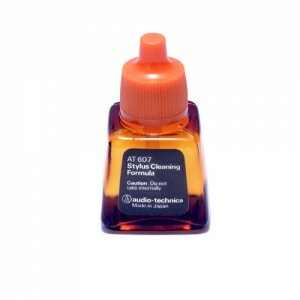 It is inexpensive and based on isopropyl alcohol. 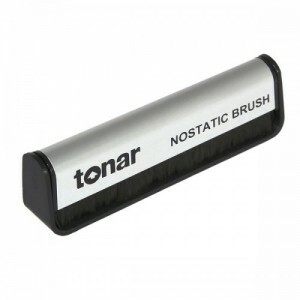 The little brush is stroked parallel to the stylus away from it in slow movements. It will dissolve and remove crud from the stylus and keep it clean. The excess alcohol will evaporate quickly. The VP Stylus cleaner is better still and is also better for people with ham fingers. It is a small pot of extremely tacky fibres. You lower the stylus onto the black surface, leave for a short while and then lift it up. The stylus crud stays behind. The Rolls Royce of stylus cleaners is the Flux Hi-Fi Sonic vibrating stylus cleaner. It is a small pad of tightly packed fibres that vibrates at low frequency. You lower your stylus onto the pad and switch it on (with the volume turned down on your amplifier) and it quite literally shakes the crud off your stylus rendering it clean as a newly cleaned clean thing. All of these methods will clean your stylus and make sure it lasts as long as possible. How long it last depends on how often you use it and how you look after it and your vinyl. A little time and effort will pay off in both listening pleasure and longer life. Also bear in mind that as crud builds up on your stylus it will cause miss-tracking. Miss-tracking can damage your vinyl. Miss-tracking is basically when your stylus is bouncing around the groove rather than accurately “reading” it. It sounds poor, distorted and can cause damage as the hard diamond hits the soft vinyl walls. A good first step is careful proper storage of your precious records when they’re not in use. First, always store your records vertically and away from extreme temperature or humidity changes to prevent warping. Never lay your records flat as this is a sure way to warp them over time. Secondly, dust and dirt are the audiophiles worst enemy, and the best weapon here is prevention. Always store your records in their sleeve and place them inside the cover. The aim of the game is to keep the amount of time that a record is exposed to airborne dust and dirt particles to an absolute minimum. You can also give records an extra layer of protection by storing them in plastic outer sleeves. Second in the war against damaging dust and dirt is the inner sleeves that hold your record inside the cover. The paper sleeves that typically ship with records do little to protect the record from static that can attract dust and dirt. The safest way to protect your records over time from dust and chemical reactions is to use polyethylene sleeves. The lining of a poly sleeve is both soft on your records and keeps static to a minimum – good news for keeping the dust at bay. These can be inserted into the paper sleeves or inner sleeves and will also prevent the edges of the paper or card cutting into the record as you remove and replace it. 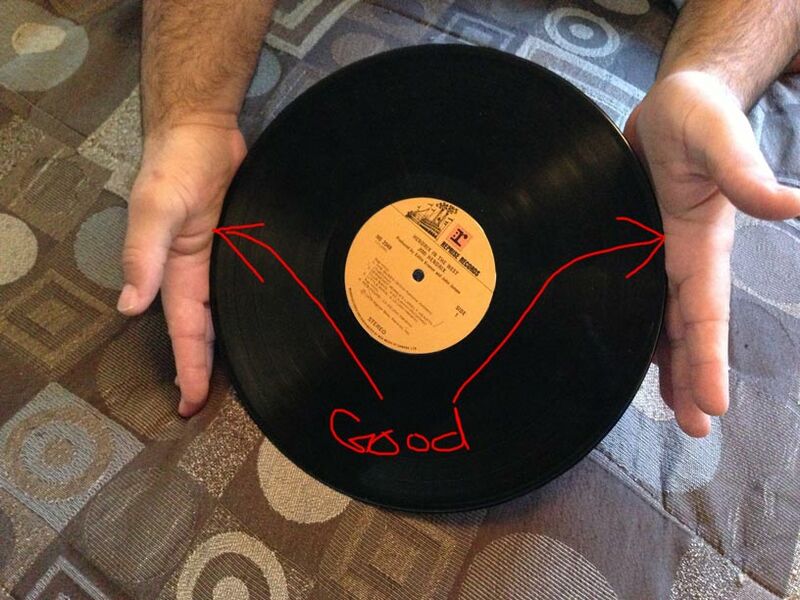 It might seem obvious, but handling your records in the correct way is imperative to keeping them clean. 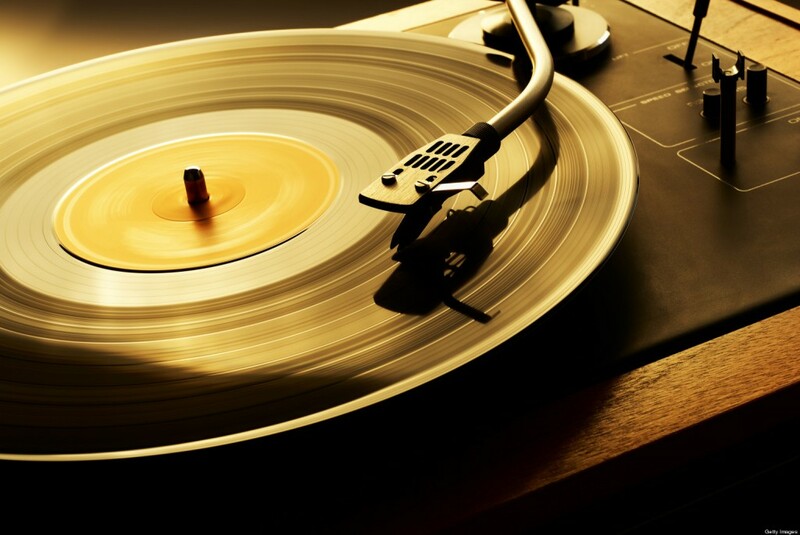 If dust and dirt are the vinyl enthusiasts worst enemy and the best tactic is prevention, you’ll want to avoid getting them so dirty in the first place by keeping your mitts off those delicate grooves! The long and short of it is: don’t touch any part of the record which contains information. 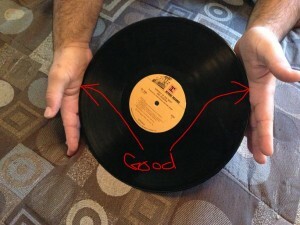 Instead, handle your record carefully by the edges and the inner label. Additionally, be sure to use a carbon fibre brush to remove any surface dust carefully both before and after playing your record. Do this before you play every side of an LP. As the disc is spinning lower the brush and hold it across the grooves so that the millions of tiny fibres can penetrate the grooves and remove particles and dust. The brush will last many years but avoid touching the carbon fibres. Even with the utmost of care and the most meticulous of storage solutions, your records will occasionally benefit from a good clean. There are many opinions on how to clean vinyl records in the correct way, to the point where there is almost a pseudo-science surrounding the whole topic. 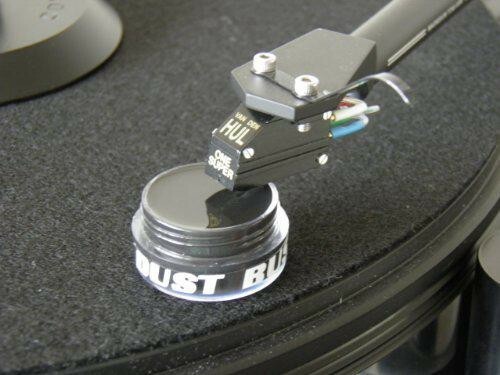 There are, however, a few commonly listed techniques, which can help to restore the sonic quality of your records if dust and or dirt has become problematic. The best is a professional record cleaning machine. Good second hand record shops have them and they usually charge a pound to clean an album. They will often supply their used vinyl already cleaned too. Cleaning becomes particularly important if you buy your records used; as dirt, oil, and dust will no doubt be present – all of which will just plain damage your stylus over time. Permaclean is the cheapest way to do it yourself. It is a kit with fluid and a pad. For a relatively low cost you can clean up to 40 lps. The Tonar Knosti record cleaning kit takes things a little further and is both more thorough and better for dirtier records.